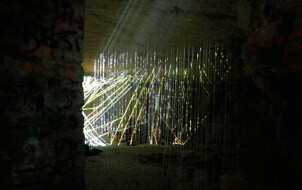 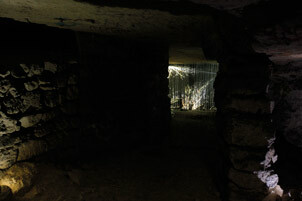 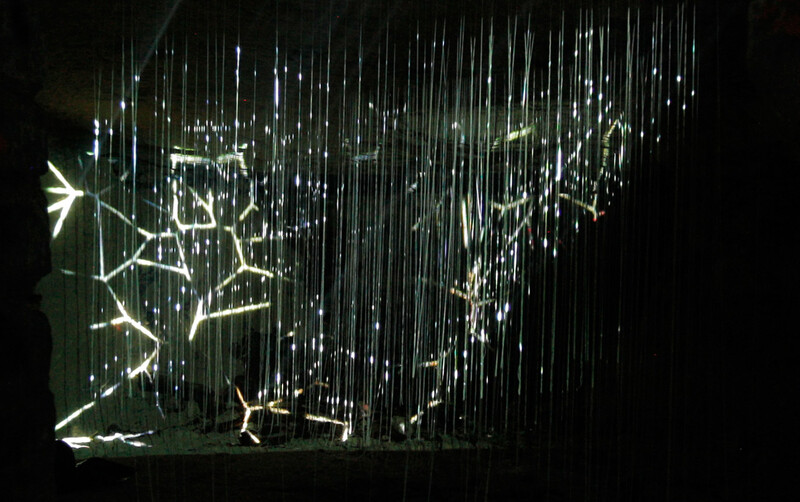 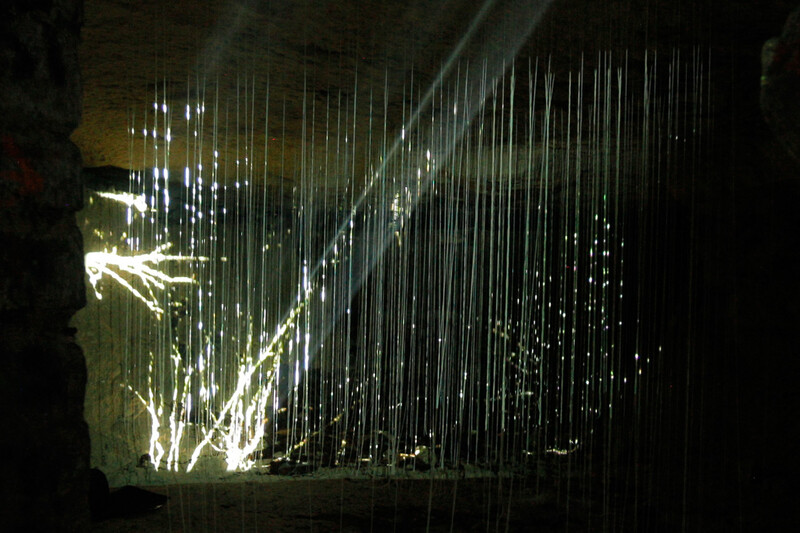 The installation "filaments" was made for an exhibition inside the catacombs of Paris. It is an interpretation of organic growth converted into analogue light effects on filaments. 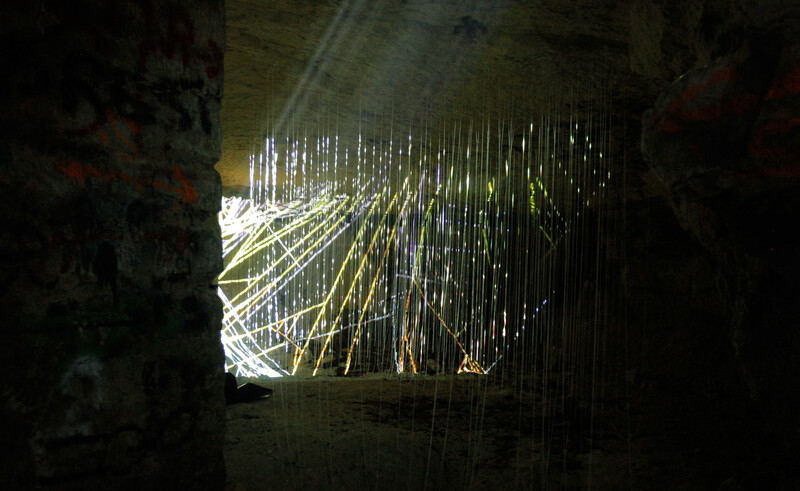 For this, hundreds of threads were installed onto the roof of a tunnel. 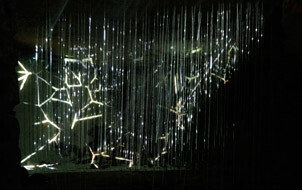 Similar to the hanging roots of trees, these threads create a fragmented projection area for a video loop.